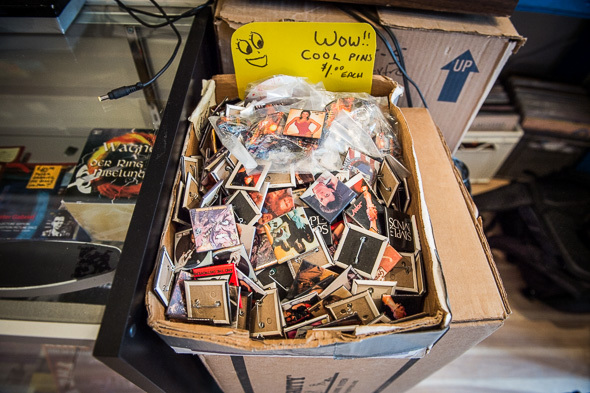 Neurotic has a long history in Toronto which locations in the Annex and on Queen West. This incarnation came into being after the redevelopment of Mirvish Village forced the closure of the Markham St. store. 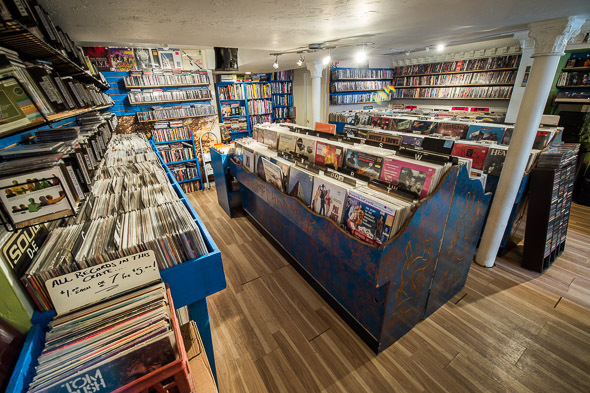 Owner Scott Cramer opened the first Neurotica location after years of working at former record hubs Sam the Record Man ("It was a crazy experience! I could tell you stories about that place! Bizarre!") and Peter Dunn's Vinyl Museum during the 80's, until deciding to become his own boss in 1989. 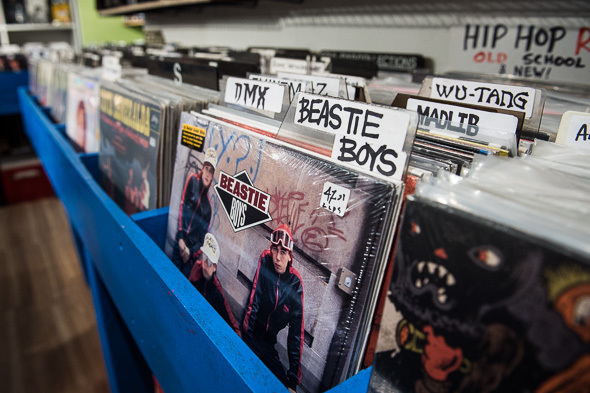 He opened his first store, Flip City Records, with a partner. "We put our own collections in [as stock]", remembers Cramer, "That wasn't easy." 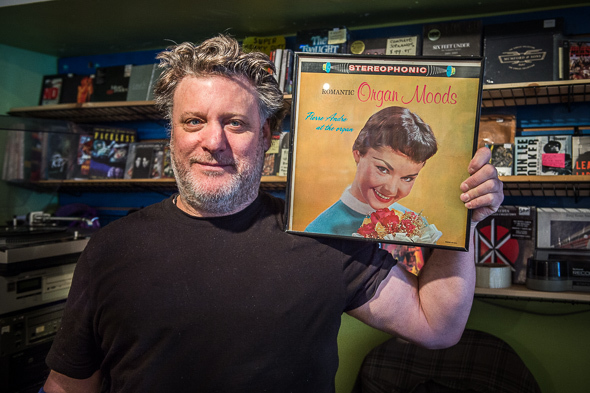 When his associate departed, Flip City became Neurotica, thus starting one of Toronto's most enduring institutions of joyful noise. 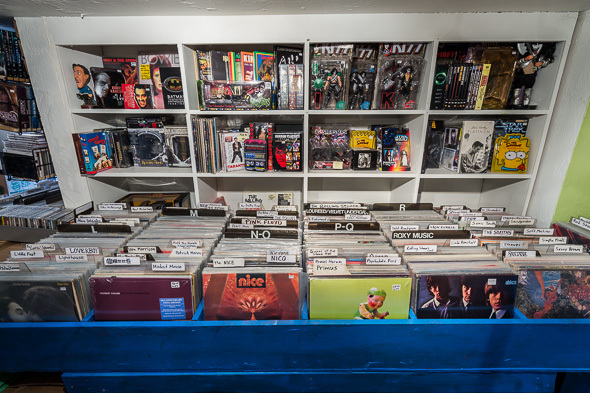 With a personal love of many genres (including, in my opinion, Toronto's best curated collection of exotica albums), the store offers an extensive selection of new and used vinyl, as well as DVD's, CD's and various collectible nick-nacks. When Cramer is not busy spinning an assortment of musical oddities and holding court from behind the counter, he is also busy at work with his own musical/soundtracking project Drysdale . 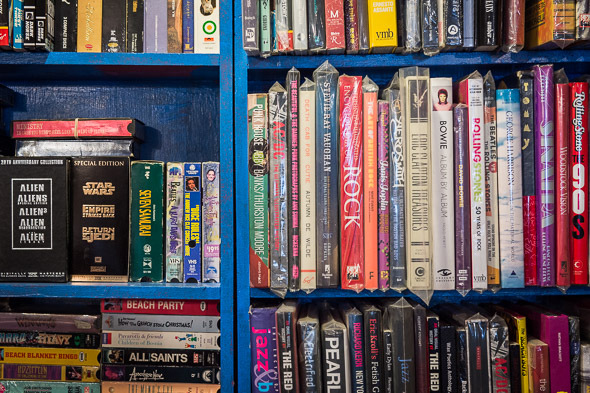 Writing and playing both instrumental and vocally-centric music, Cramer was previously involved in the score of Alan Zweig's 2000 documentary Vinyl , aptly focusing on the subject of obsessive record collectors. "[Zweig] actually worked in my store," laughs Cramer. "I went downstairs to the studio to work on the soundtrack, and he would be upstairs subbing for me in the store, to give me enough time." Neurotic now offers their own Neuro Sound and Vision recording studio services, as well as in-house mastering and analog-to-digital transferring. 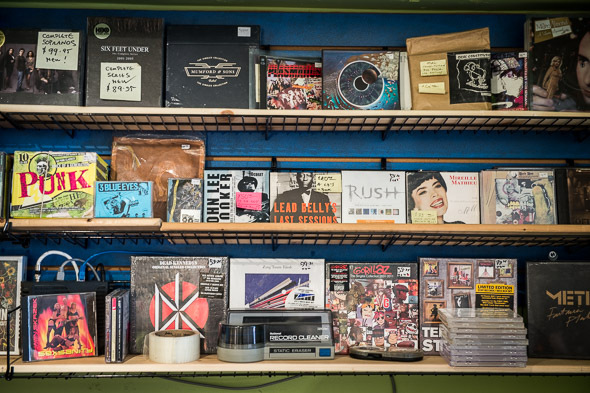 After being in the business of selling records for over 25 years, Cramer is excited about a new chapter for Neurotica, but also proud of its overall achievement. "I haven't had to work for anyone else", says Cramer. "That's the ultimate goal." Matt Forsythe of the location on Markham Street.